2018 Nissan Leaf reader test team review | What Car? The original Nissan Leaf was the first truly mass-market electric vehicle (EV). Since its launch in 2011, more than 20,000 examples have been sold in the UK; that means nearly half of all EVs on our roads are Leafs. But it had its limitations, and with more manufacturers readying EVs of their own, it was time for Nissan to turn over a new Leaf. The new car is intended to be a genuine Ford Focus challenger, rather than just a quirky choice, with conventional styling, more interior space, better handling and, vitally, a longer range. Nissan claims up to 235 miles between charges – 81 more than before. An 80% charge from a fast charger takes about 40 minutes. The Leaf also gets a new e-Pedal mode, which strengthens the regenerative braking enough to let you stop just by lifting off the accelerator. The Leaf is on sale now, priced from £22,790. It has already been crowned our 2018 Electric Car of the Year, but do you think it will it be a game-changer? “I’m interested in electric cars because of their fuel economy and zero emissions, and I’m on the waiting list for the 2019 Tesla Model 3. “I wouldn’t have given the original Leaf a second look, because I don’t like its styling and it’s range isn’t enough. But the new Leaf is a major improvement in several areas. Its styling is better – although it still doesn’t appeal – and its realistic range of around 180 miles is impressive. I think I’ll feel completely comfortable with an electric car once 200 miles is the norm; I don’t ever want to compromise my driving style because I’m always thinking about the battery. 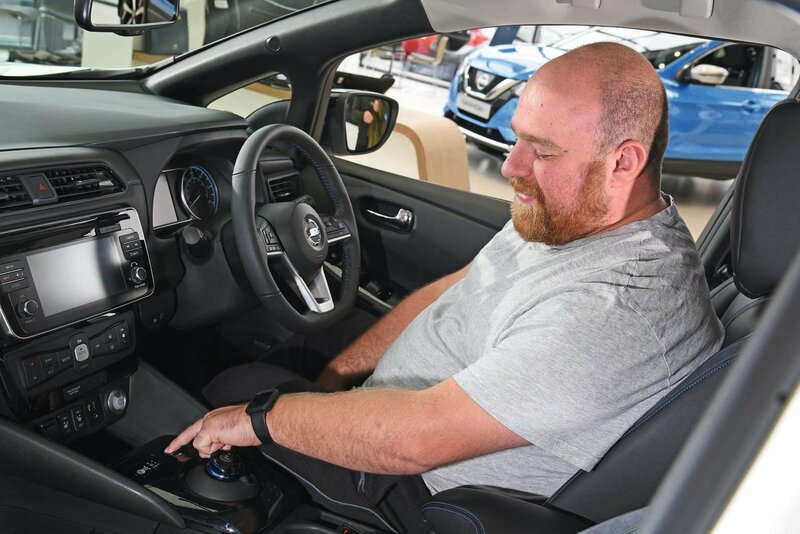 “There’s some state-of-the-art technology on show, too; I like the ProPilot semi-autonomous features, although I’m not sure about the one-pedal-driving e-Pedal mode. “The interior is well laid out and seems solidly put together, and the Leaf’s pricing seems competitive. I like the sound of Tekna trim, but I’d have to add leather seats. “My Leaf has met every expectation and beyond. It’s a lovely place to spend the day, my clients find it easy to drive, and range is as hoped. I tend to charge it every day and can get 100 miles of driving in with charge left over. Because of the minimal running costs, it’s worked out hugely beneficial for my business; I’d never go back to a petrol car now. “The extra range of the new car will be a big factor. 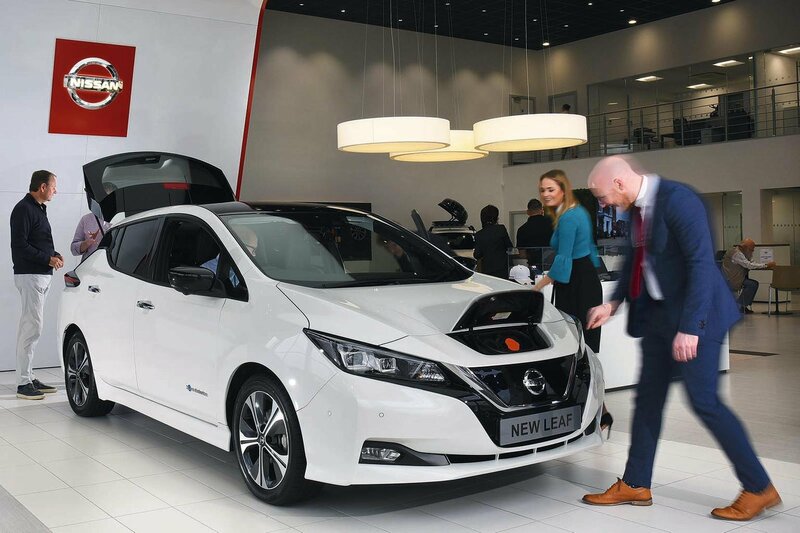 People have a perception that EVs limit them to local journeys, which will be even less true with the official 235-mile range, and the UK’s charging infrastructure is growing all the time. “The styling of the new Leaf is a big improvement; one of my biggest issues with my car is that its look is an acquired taste. “The new e-Pedal mode seems like a great idea, and I’m glad that the brake lights come on when you’re using it. It seems more than a novelty. “I’d be interested in an electric or hybrid car when the time comes to replace my i10. “A realistic range of around 180 miles is absolutely fine; on most days, I never do more than 100 miles, and for longer journeys you can plan a top-up on the way. A charging time of around 40 minutes is doable; you could just have a coffee break. “This car could serve very well as a family car. 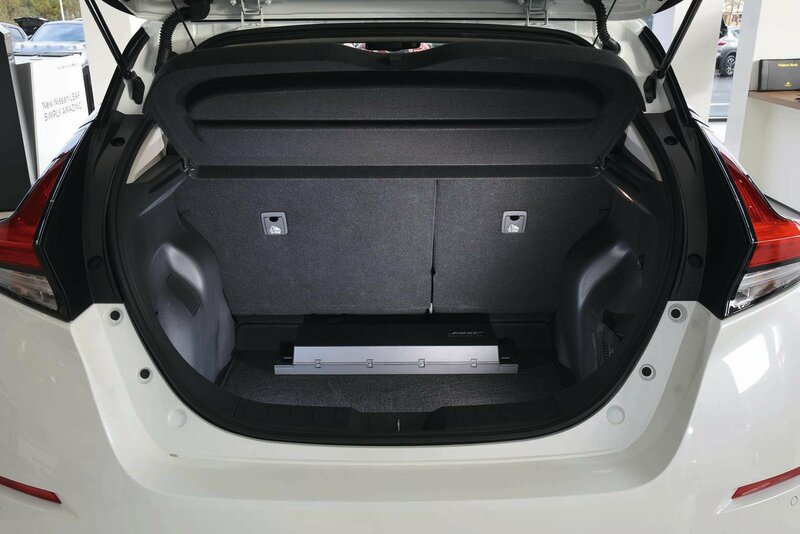 Its boot is bigger than the Nissan Qashqai SUV’s and the seats are very comfortable, with plenty of space. The middle seat isn’t great, though, with a hump in the floor. “The technology is just amazing, especially the ProPilot system, which can steer, accelerate and brake to keep you safely in a lane on the motorway. “I think the interior layout is very logical and clear, and the driving position is good. The infotainment touchscreen is clear and reacts quickly. Material quality is really good; I was pleasantly surprised.